Residents of a posh riverside London apartment block ‘feared for their lives’ after ’15’ armed police stormed building. 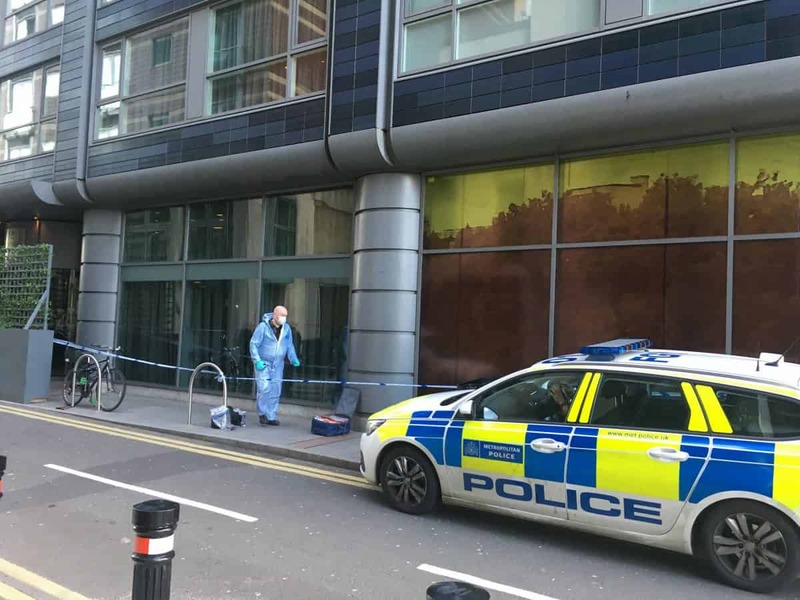 Two men were seen on the roof of the building opposite Millbank and MI5 before an ‘imitation firearm’ was dropped onto the street below. Armed police ‘placed the building on lockdown’ as they tried to capture the men on the roof – who then gave themselves up. One of the men was released, while the other was taken to hospital with ‘minor injuries’, the Metropolitan Police said. A woman in her 20s was brought to tears when she recounted the experience from earlier this morning. She said: “Police came rushing into the building and shouted not to move. There was a man throwing things from the roof. Forensics officers could be seen gathering pieces of what looked like the ‘imitation firearm’ on Salamanca Street. A spokesman for the Met confirmed that armed police attended the flats in Southwark, south London. He said: “Police were called at approximately 11am on Monday to reports of a man on a roof throwing objects on Salamanca Place. “Officers, including specialist firearms officers and London Ambulance Service attended. “The suspect made his way back into the building via a window before throwing what was believed to be an imitation firearm out of the window. “There were also reports of a second male in the property. “Both men left the property voluntarily where they were initially detained. One man was released and the other has been taken to a south London hospital for minor injuries. “No other injuries have been reported.